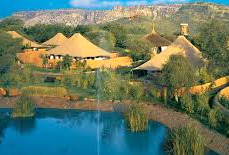 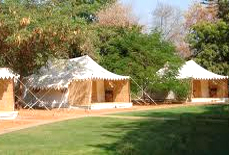 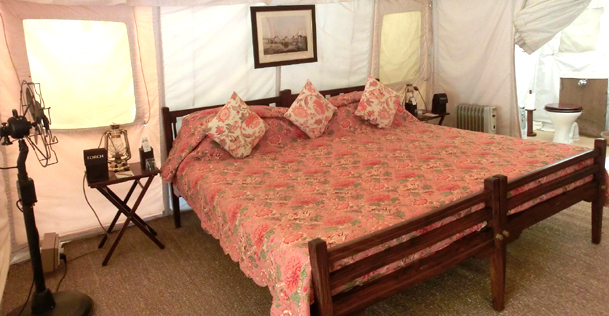 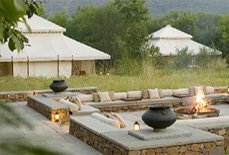 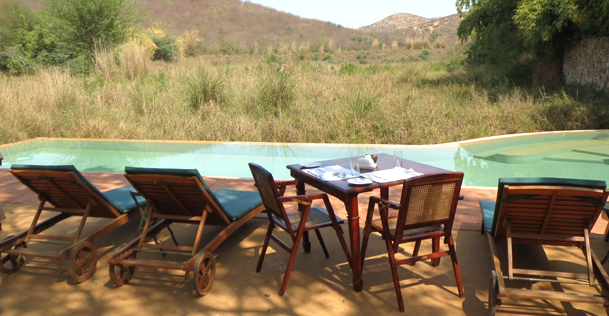 Sher Bagh is a luxury camp with hand-stitched canvas tents residing at the boundary of the Ranthambore National Park. 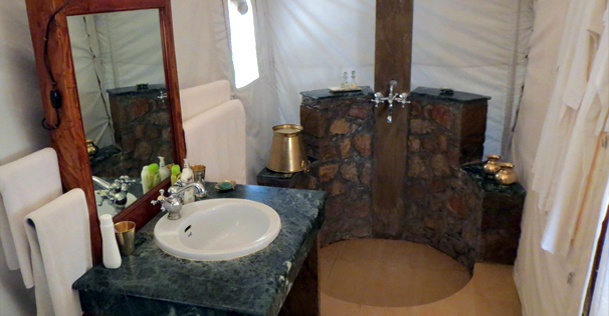 Reflecting the style of the 1920's and stirring the aroma of homesickness, the camp is mostly preferred by tourist willing to stay at the venue offering the perfect mix of luxury and nature. 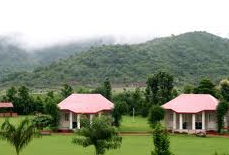 With the great attempt to maintain the balance between the nature and humanity, the camp ensures a comfortable and safe retreat right in the lap of the nature. 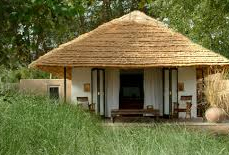 It is an ideal staying option for all those who wish to stay in authentic Indian jungle camps and enjoy their vacation in a difference and unique manner. 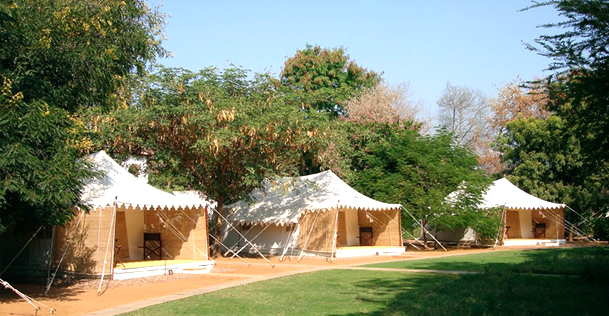 The Sher Bagh camp comprises of luxurious bedroom tents with attached bathrooms and verandahs, a cafe, a dining tent and lots of open spaces to enjoy various outdoor activities. 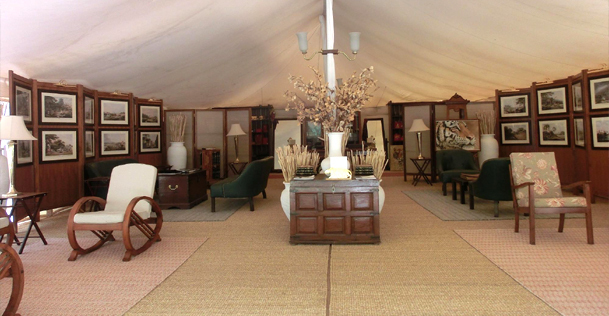 All the tents of the camp are completely dipped in luxury with all sorts of amenities that offer guests a chance to experience a king or a queen like living. 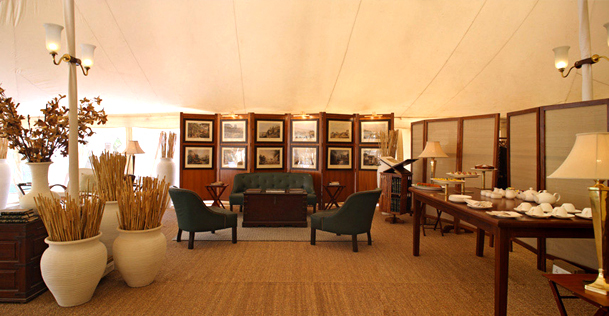 There is a restaurant offering delicious cuisines and a library for wildlife enthusiasts inside the camp premises. 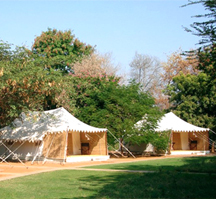 The camp has 12 luxury tents. 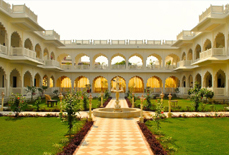 Each tenthas spacious bedroom, veranda and toilet attached in it along with the below given amenities. 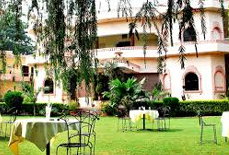 Cancellation of the hotel booking due to any reasons is chargeable and need to be intuited in written. 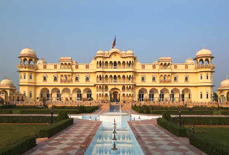 You will need to pay the charges as per the below given cancellation charges slot, which will be applicable from the date of receiving your application for cancellation of hotel booking. 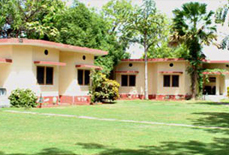 Lying close to the boundary of Ranthambore National Park, Sher Bagh camp is just 1 km away from the main gate of the national park. 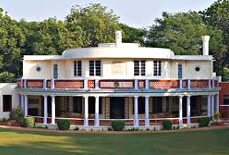 It is around 12 kms away from Sawai Madhopur railway station and 175 kms away from Jaipur airport. 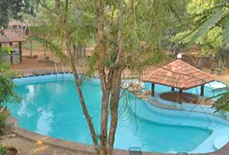 There is a helipad located near to the camp, which is just 4 kilometres away.